Most attorneys today tend to think of the “work-life balance” exactly as most lawyers have always viewed it: “the balance of my time will involve work, and I might have time for a life when work is done.” However, many solo or small-firm attorneys picked their current vocation based on the belief that they should take a more, I hate to say it, “balanced” approach to their lives. Regardless, there’s no denying that the ability to carve out a little space for your “work” in the space normally reserved for your “life” is probably going to become essential. By that, of course, I mean your home office. Or, for many solo practitioners, your actual office, within your home. 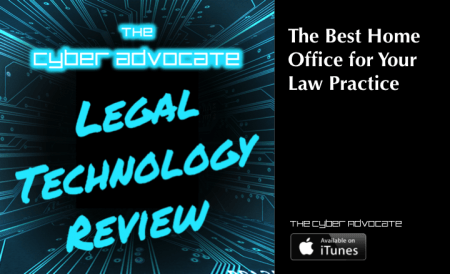 Well, if you’re a solo practitioner, or if you’re just an attorney or other legal professional hoping to find a better way to set up a remote office, you’ve come to the right place! So all of those interruptions during work. You hate them. So does everyone else. There’s almost no better place to avoid work, it seems, than work! But you’re still not ready to give in to the idea that you can somehow do everything from home. I get it. I’m in the same position. One of the big things you might be overlooking is flexibility. Alison Monahan, the founder of the Law School Toolbox and the author of the Girls Guide to Law School has some interesting advice that you should consider! The biggest advantage to working from home, in a remote or solo office, is the flexibility that it allows. Face it: who do your really talk to in your office on a busy day? Your assistant? If you listened to my podcast with Clio’s Joshua Lenon, you already know that you probably don’t really have one of those anymore. Moreover, most of the important contact you have with other people involves counsel from other law firms – over the phone (or by video). In fact, even if you’re involved in a conversation with an attorney in your own firm, it’s pretty likely to involve both of you – in your separate offices – participating in the same call. If offices are no longer really the place for collaborative cooperation, are you truly benefiting from relying entirely on your office? Guess what: You don’t need to be there! Yeah, there’s another side to the coin, of course. The biggest drawback to having a home office, according to Alison Monahan, is that you no longer have a built-in way to easily meet with people. Your office likely has conference rooms available at any time (assuming you’ve reserved one) for meeting with clients or your colleagues. There is benefit to being able to meet in person. However, like most problems, this one can be fairly easily solved with a little ingenuity. If you’re meeting with a colleague, you might be surprised to find out how popular your local Starbucks or Brueggers is for meetings during the day. It might even look more busy than your actual office! For meeting with clients, there are numerous other options available. Do they want to meet at their home or office? Then you don’t have a problem! A little research in your area will help you find other solutions as well, so that you don’t have to utilize the Starbucks location for attorney-client privileged communications! One of the most difficult things for attorneys to do is change. We like to find a comfortable situation to work in (who doesn’t), and disturbing that can be frustrating. But it can also lead to improvements. The important thing is to have the right mindset. According to Alison, that means committing to your home office. Do your clients object to meeting at Starbucks? Then you need to put in the legwork and find a better option. You also need to commit to the idea that your home office is more than just your laptop on your kitchen table. Sure, it’s ok as a temporary setup, but you need a dedicated space. If you’re going to set up a remote office or home office, you need to be able to work comfortably and effectively. Without the commitment to find solutions to what may seem like little problems, you won’t be comfortable or effective. Because those little problems can quickly become big headaches. This might look nice, but it also looks REALLY uncomfortable! Right off the bat, this might not seem obvious, but if you’re committing to a home office, you really are going to need a good microphone. Working remotely is likely going to involve a lot of teleconferences and video conferences, and as an attorney, clear communication is essential. While your computer’s built-in microphone may be decent quality, this is not a place you’re going to want to be cheap. As I mentioned before, your kitchen table may suffice in a pinch, but it’s not a long-term solution for any attorney. You need a place to keep your confidential information secure and organized. Moreover, no matter where you decide to locate your office, there’s still that pesky work-life balance thing to worry about. Keeping your home office in a dedicated space will help you keep your entire home from becoming your office. You would be absolutely amazed how much a little thing can add up over time. For example, at your office, you probably have a desktop computer and monitor. That monitor is set up at eye-level, so your neck doesn’t have to strain or adjust to use it. Now look at your laptop. For several hours. Notice that feeling in your neck? You’re going to encounter difficulties. Have the mindset and the willingness to address them! You’re not in an office anymore, so you have a lot of flexibility to try different things out. Since being comfortable is key, experiment! Nobody’s going to criticize you, and you might just stumble onto a solution nobody’s thought of yet. Your home office is about flexibility, but it’s probably also going to need to be about keeping expenses low. So don’t pay for what you don’t need! 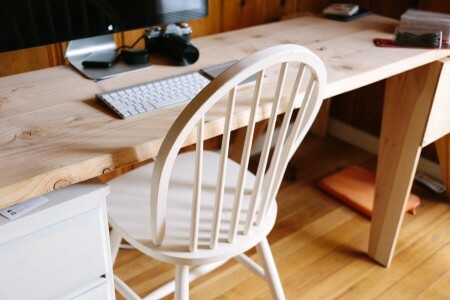 Are you renting office space for your solo practice, but working from home? Why? Instead of renting an office, contact a local law firm and see if you can rent their conference room when you need it. If none are available, there are numerous space-sharing companies popping up all over the country that you can use. One of the major benefits of a home office is avoiding the bloated overhead that most law firms deal with. So if you don’t need it, why would you pay for it? According to Alison Monahan, attorneys looking to set up a home office or remote office should start to think about social interaction. Sure, there are plenty of downsides to a law firm office, and the interaction is probably overstated anyway, but if you’re working from a home office, even that minimal interaction is gone. Be prepared for that! Think through what you want to do, plan out how you want your home office to work. As a part of that plan, make sure to figure out how you’re going to get the necessary social interaction to remain sane (and up-to-date on events). CLEs? Local bar association? Lunches with other home office attorneys? They’re all viable. Just make sure you have a plan!